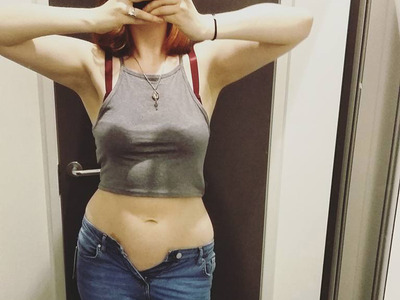 Clothing company American Eagle recently faced scrutiny after a young shopper’s complaints about inconsistent sizing went viral. Now the spotlight is on H&M after a woman called out the brand on Facebook for selling “unrealistically small” clothing. Ruth Clemens tried on a pair of size 16 jeans — the largest size H&M stocks — at the Leeds branch of the retail chain. She could not even button the pants. The 25-year-old posted a powerful open letter to H&M on the company’s Facebook page — including a photo of herself wearing the too-small jeans. The post has since been shared over 9,000 times. Her message racked up thousands of comments as people agreed that H&M’s clothing sizing is skewed.